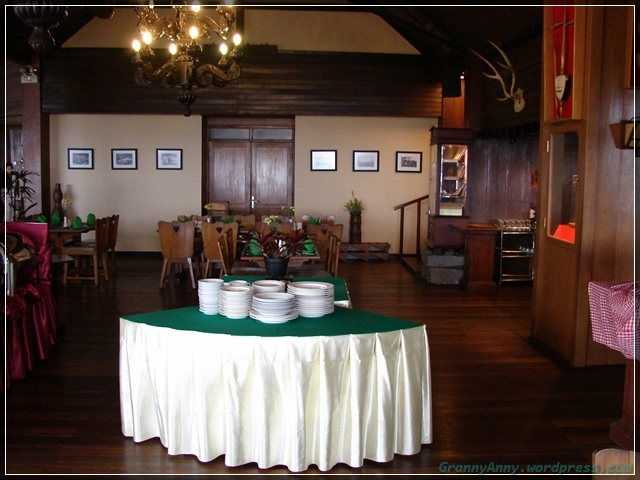 One of our most favorite restaurants up in the mountains in West Java is Puncak Pass. The restaurant is actually part of a resort. 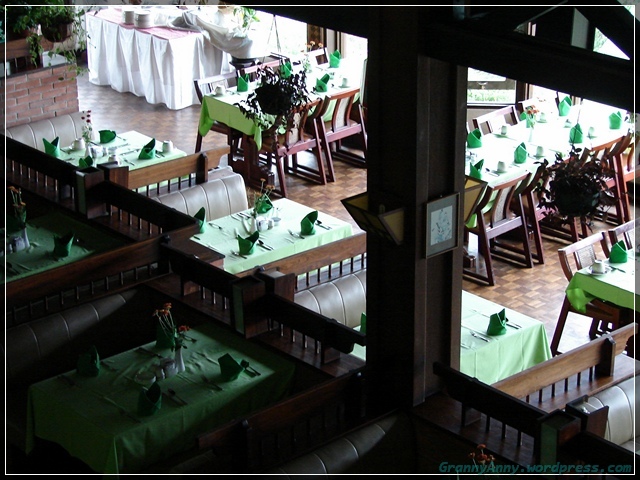 I never ventured and checked out the resort itself, since we just zeroed in to the restaurant. It is located in Cianjur, about two hours from Jakarta. That is, without the horrendous traffic that can build up in the blink of an eye. 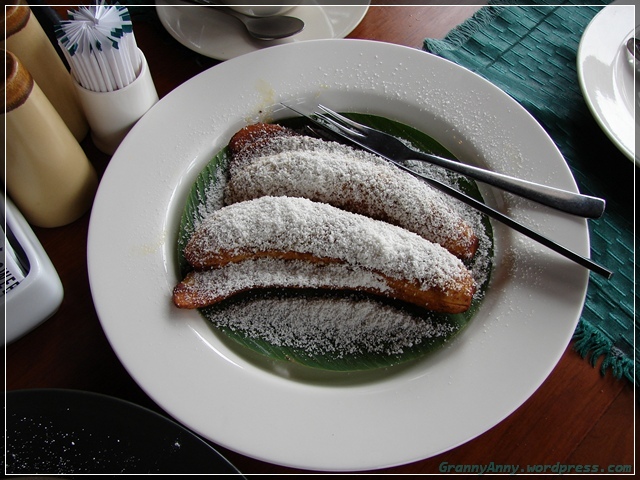 Whenever we visited my sister in Jakarta, and if we had the time, we would go there and have their delicious, creamy poffertjes. It had become the beacon in our thoughts, when we heard the word “Puncak.” Puncak means top, peak, summit. 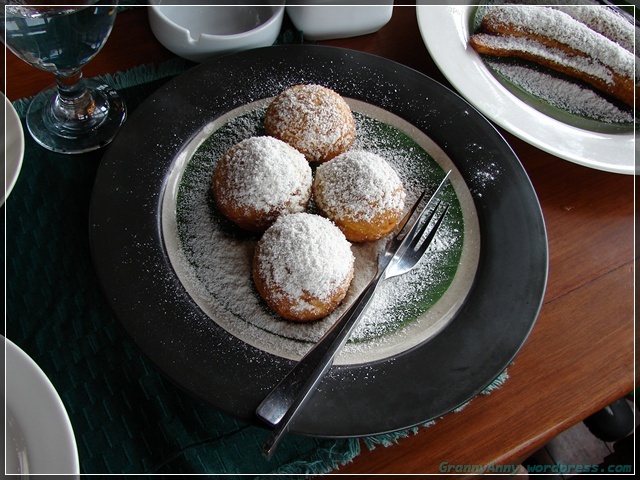 But to me, Puncak means Poffertjes. I cannot help that my tummy dictates what goes on in my brain. After searching online, Puncak Pass is located in Mountain Gede-Pangrango, in the Bogor-Cianjur-Sukabumi regencies. Puncak is also known for the tea plantation, an area where they grow tea, as well as providing a getaway place from the hustle and bustle of a busy metropolitan capital, Jakarta. 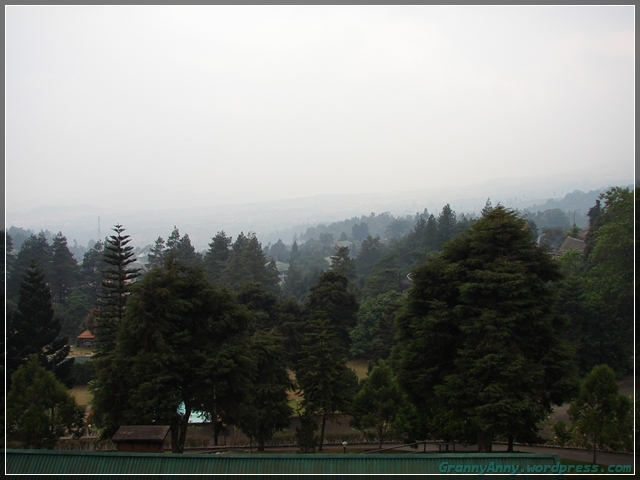 Unfortunately, the pollution from the diesel fumes has reached Puncak as well. The last time we were there, we were not able to gaze very far, since the fogginess of the pollution cloud hovered on the mountain as well. One day I would like to be up there, when the rain has washed the earth, and perhaps, I would be able to see the beauty of the land without the fog hanging over yonder. You can see how pretty the place is by looking at these pine trees. Lucious, fat, green pine trees. 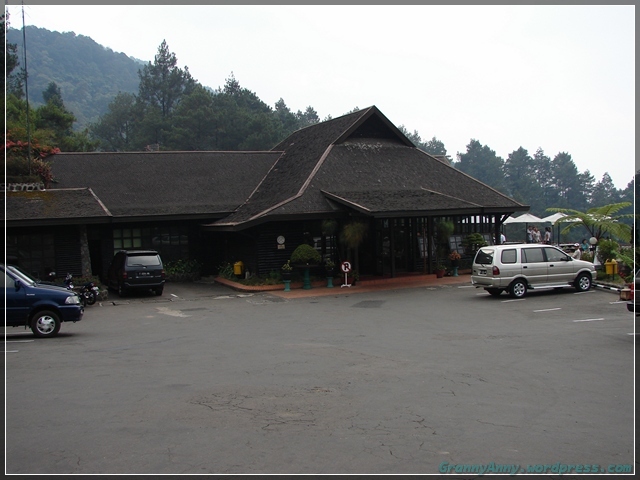 The entrance toward the Puncak Pass Restaurant. The restaurant itself has different sitting rooms. In one area, they would serve a lunch or dinner buffet. Last year, we were eating in one corner of the upstairs area, which is actually the street level. There is another sitting room downstairs, where one year, we saw Wiranto, the Civilian Minister of Defense. He was eating down there with his peons, while we were eating on a level just above. The staff led us to a different sitting area, since apparently the room downstairs was reserved for him. 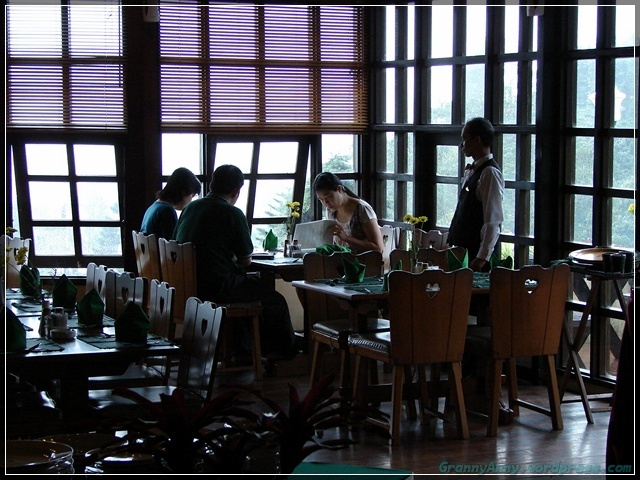 They also have a balcony, where you can eat outdoor, enjoying the view of the mountain. Alas, on the last visit, it was raining, so we were not able to sit out there. 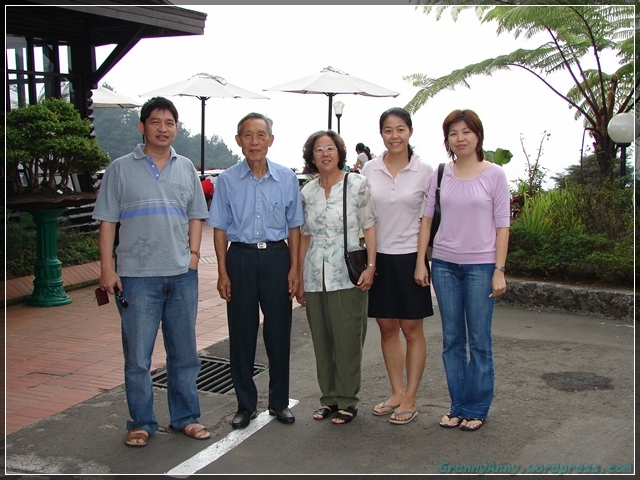 One year, we went there with my parents, endeavoring to see and visit the tea plantation. We stopped by here for lunch. These are the famous poffertjes. 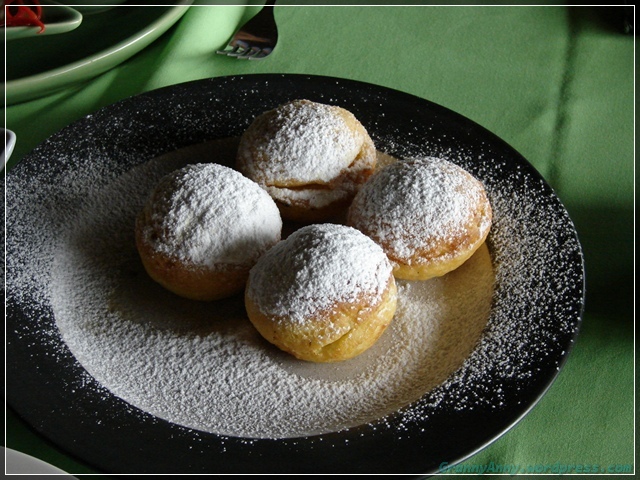 It is a Dutch pastry, which is made on a stove top, sprinkled with powdered sugar. It is basically a round, balled, pancake, with a middle that is very warm, soft, creamy, and very delicious. I say “balled” since it really looks like a ball. Last year, the infomercial was selling the pan as a way to make a “pancake puff”. 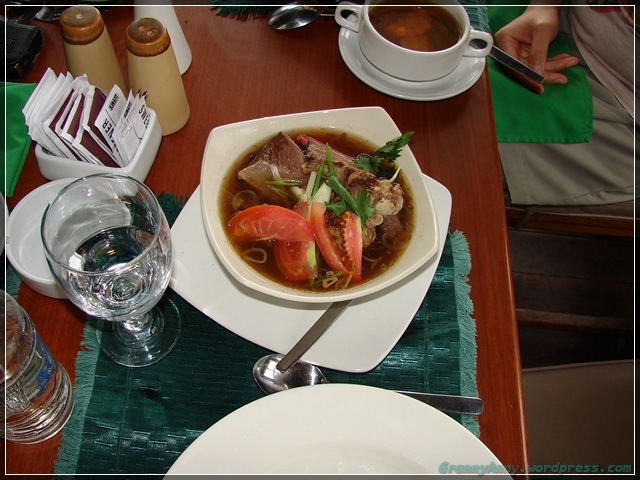 Hubby ordered “Coto”, which is an oxtail soup. 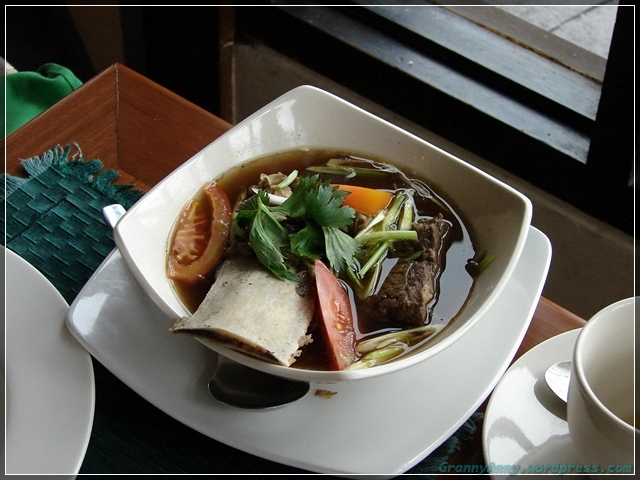 Indonesians love their oxtail soup. My brother-in-law ordered the fried rice, topped with a sunny side up. He also got the big shrimp crackers and cucumber – carrot pickles. My sister also ordered Coto. 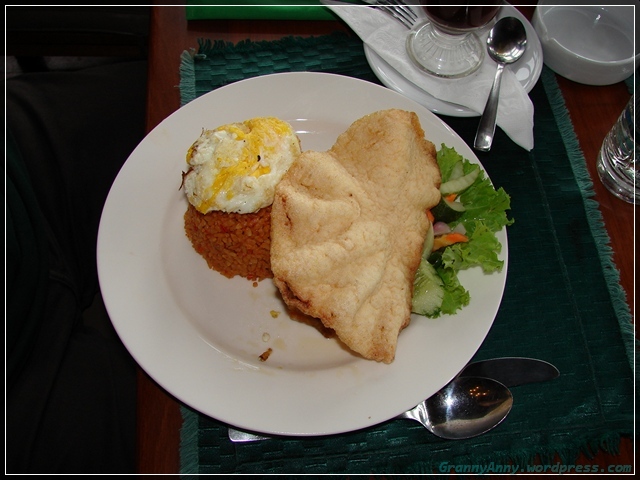 I myself ordered the Nasi Timbel, a specialty of Bandung-style rice. 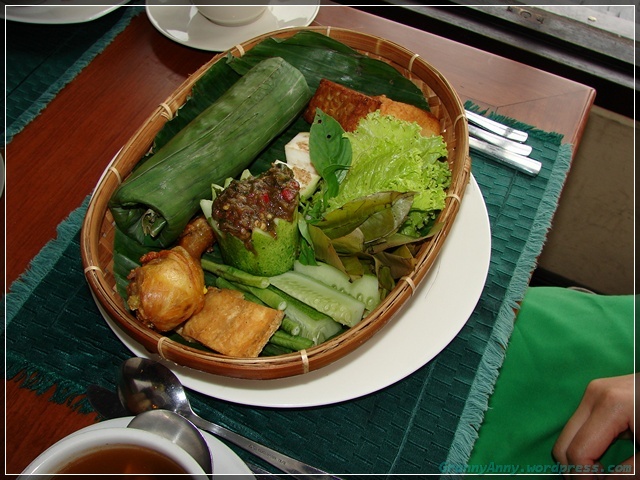 The rice is steamed inside a banana leaf and served with fried chicken, fried tofu, fried tempe, lalapan (greens) and of course, hot sauce. 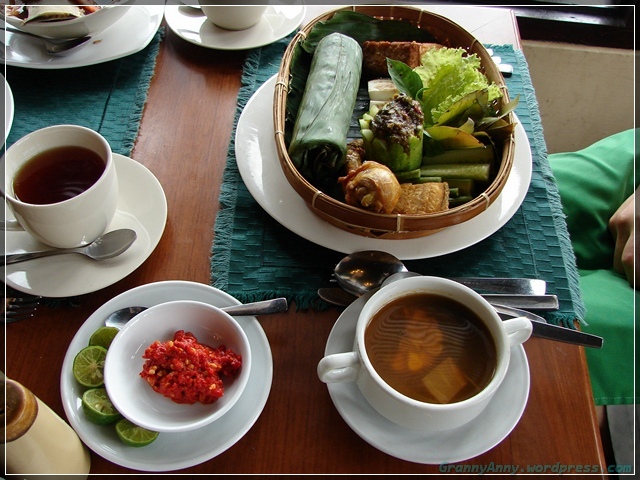 It also came with Jangan Asam, a clear, sweet and sour soup containing corn and vegetables. 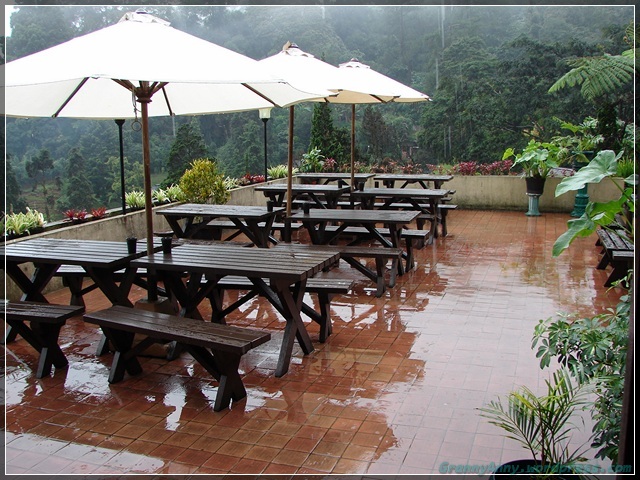 And that my friend, concluded our visit to Puncak Pass restaurant. So I will be dreaming of poffertjes tonight, and hopefully I won’t wake up and find a wet pillow!